Pole Harmony: PDBA December 2013 Blog Hop: The Best of 2013 in Pole! PDBA December 2013 Blog Hop: The Best of 2013 in Pole! 2013 is coming to a bittersweet end. This month's Pole Dancing Bloggers Association blog hop theme is to highlight the BEST of 2013 in pole. First things first, I'm going to start off by informing you all that I am not very privy to what all the cool kids are doing or have done within the community, therefore this entry will lack any mention to the global community of pole. I don't know who people are in the community unless I have personally met them. I also don't watch videos of competitions so I have no idea what the Best of 2013 performances would be. What I do know is, that Indianapolis had a pretty rocking 2013 when it comes to pole and aerial! Put us on the map- we've got a lot of talent here in the Midwest. As many of you know, 2013 is the year I decided to embark on my own journey of business ownership. I was struggling to find meaning in my life when it came to pole dancing and through my frustration and overwhelming stress regarding the issue, I came to the realization that I needed to independently create the vision I knew would bring clarification to the passion I feel for pole dancing. It was the birth of Pole Harmony as a business. The next milestone for what I perceive to be the Best of 2013 would definitely have to be finding my voice within the community. The mere act of knowing what I wanted and being able to portray these ideas. Yes, I'm talking about the Pole Dancing Bloggers Association. This organization has given me a renewed perspective on my writing and my dancing. I have always thought of pole dancing as being another way to tell a story- the partnership that exists between writing and dancing is astounding. It's the nature of realizing one's own thoughts and being able to convey them for a therapeutic exploration of self discovery. My writing has helped me within my own dancing in numerous ways. 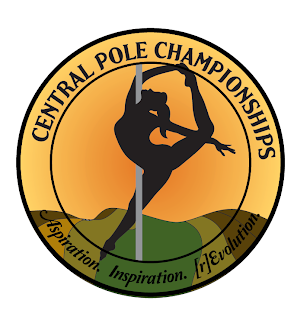 Another moment I also identify as being crucial to my ongoing process of learning as an instructor was back in May when I was part of the judge's panel for the Pole Sports Organization Central Pole Championships in Chicago, Illinois. It was an honor to have been selected to judge the advanced level competitions. The entire experience was an amazing learning opportunity for me. This year I didn't get to travel as much as I have in previous years. I worked on and completed a second degree in nursing which involved a lot of my time during the summer months. I did however, get the opportunity to join friends during our annual beach trip where I attended my favorite go to destination pole studio, Flow Fitness in Wilmington, North Carolina. It was during one of the many classes I attended that I formed the concept of my future Pole Harmony class offering, Body by Pole. I have always encouraged students to take as many classes as they can. No class is ever beneath you. It's this idea that is so important in building character as a disciplined dancer. Every experience is an opportunity to learn. Even ones we perceive as being little, they can turn out to be bigger than we'd imagined. 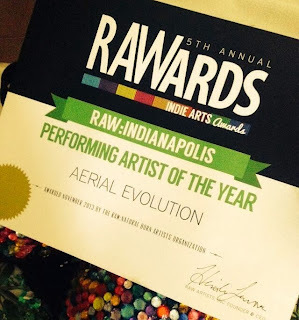 The final Best of 2013 would definitely have to be winning Performer of the Year in Indianapolis' local RAW with my dance partner, Patricia Boylan-Riggs and her professional pole dancing performance group, Aerial Evolution. 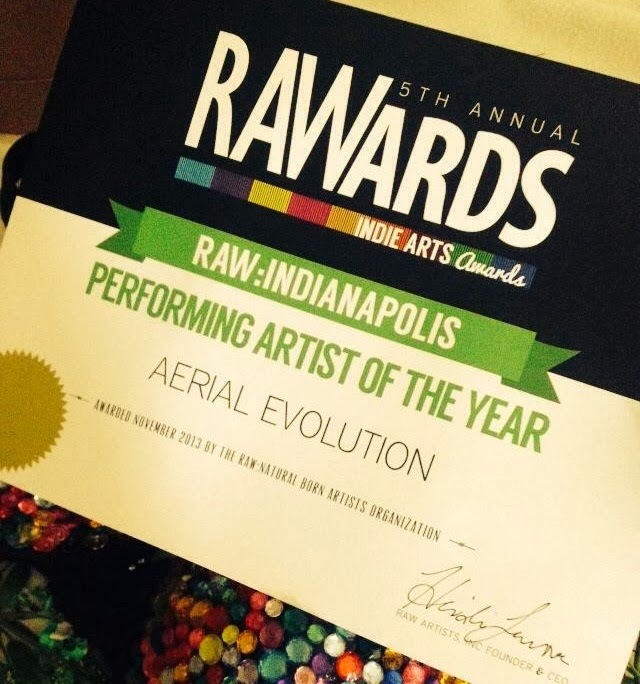 Receiving the RAW award this month was the perfect summary to my year in pole dancing for 2013. It's been a wild ride this past year full of ups and downs amongst a lot of hard work. I sincerely hope that everyone else in the community- those new and old to the scene have had as much of a year as I have. Looking forward to 2014 and all that is to come! Blog Hop is a monthly blog topic involving pole dancing blog contributors from around the world actively involved in the online Pole Dancing Bloggers Association. Each month we write our perspective about a given topic pertaining to the pole dancing community. 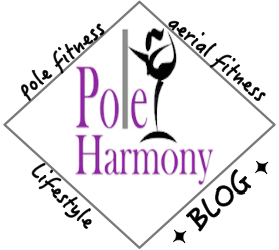 To read fellow Pole Dancing Bloggers Association December Blog Hop entries: click here.